An observation cell at Cloverhill Prison. SOME PRISONERS ARE being sent to jail because there is nowhere else for them to go while others are being forced to sleep on mattresses and floors. That’s according to eleven reports by the Prison Visiting Committees released this morning, the committees visit prisons and hear complaints from prisoners. The committee strongly feels that some prisoners are being sent to prison because there is nowhere else for them to go. While the Dóchas committee found that some women are not being released when they should be due to homelessness. The report from the Cloverhill committee stated that inmates were sleeping on mattresses and floors. It said that when the prison population increases to over 400 it has “led to inmates sometimes sleeping on floors, and pressure put on the services provided by the staff of the prison. This year again we have received complaints from prisoners that committals have been out in their cell during the night on a mattress, which causes tension, and disruption during the night to all prisoners in the cell. Meanwhile, the Mountjoy visiting committee raised concerns about the amount of time protected prisoners are spending in their cells, in some cases prisoners spent 22 hours a day. The visiting committees did report improvements with the conditions of most of the country’s prisons. While the reports speak for themselves I am pleased to note the positive comments in terms of the training and education programmes and services in the prisons. 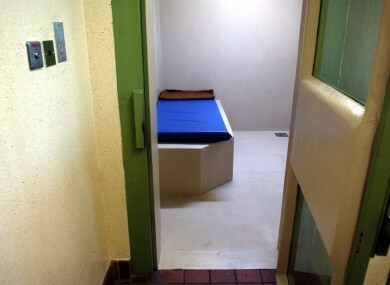 Email “Prisoners in Irish jails are being forced to sleep on floors ”. Feedback on “Prisoners in Irish jails are being forced to sleep on floors ”.